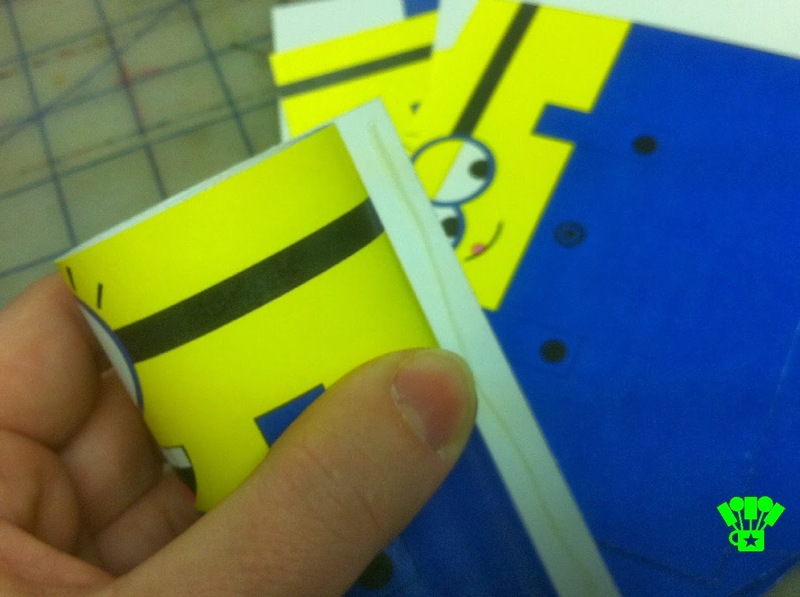 Make your own Printable Despicable Me Minions. 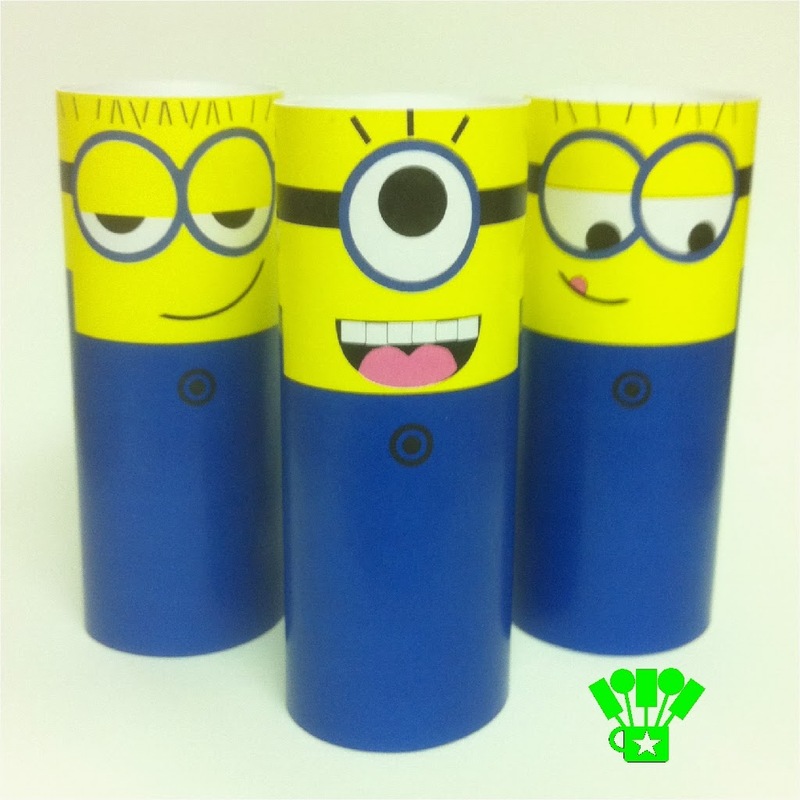 This easy and fun toilet paper craft is a fun addition to a Despicable Me party or gift for anyone needing a "little help" around the house. While it's really not that big of a deal, it does give me a day to ponder about what it is that I really want out of life. Am I doing everything to make Momma proud? Am I on track to where I want to be in another 10 years? Have a grown any in the past year? I have decided that I'm not quite up to where I should be, and I think that's just because there just isn't enough hours in the day. There's not enough time to work, play, clean house, be a good neighbor, spend time with my kids, and so on. And I decided, I need some Minions for my birthday this year to help me get it all done. I was really impressed with how good a dad Grue was, but how nice it must have been to have Minions to clean the house and work on the "jam" while he spent time with the kids. I definitely needed that. But since I am not a mad scientist, I decided to put my mad computer skills to work and create a few Minions of my own for my birthday. 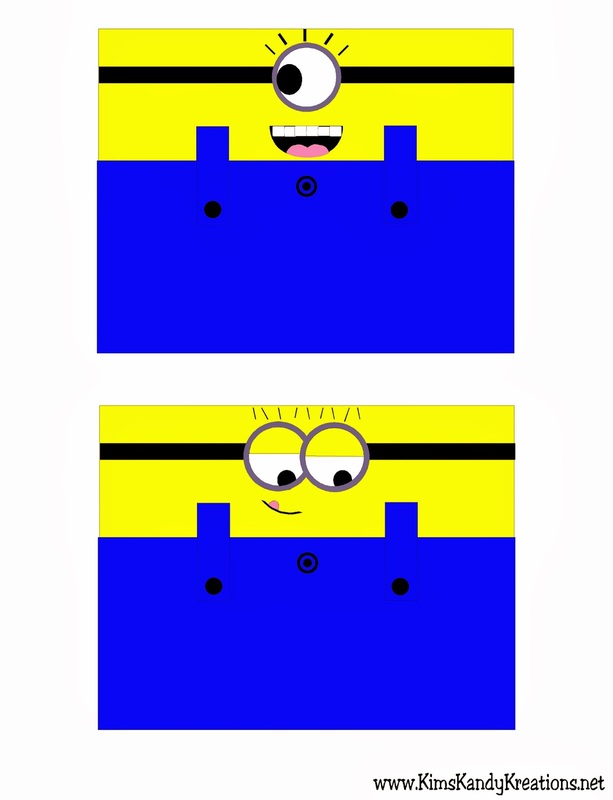 I started by creating 6 printables sheets of 2 Minions. I sized them to fit around an old toilet paper roll, so I needed a few of those too. 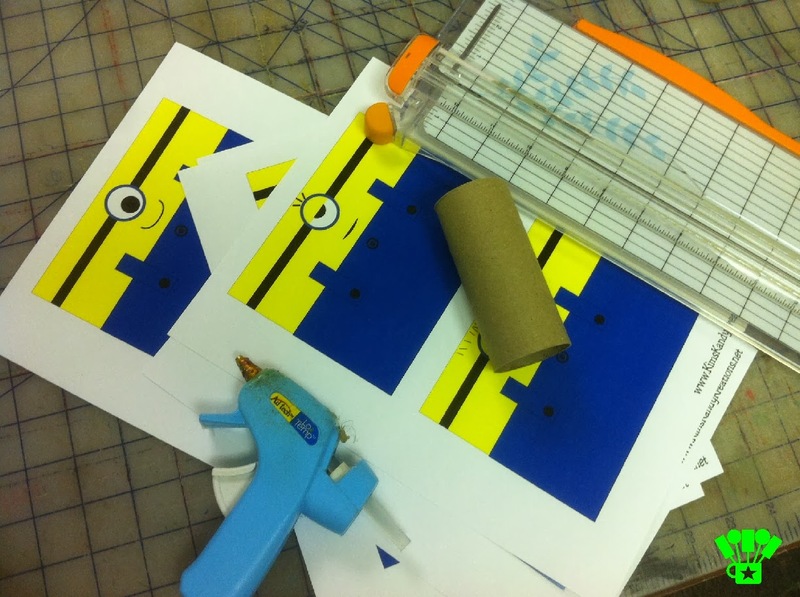 Then I grabbed my favorite Fiskars Paper Trimmer (do you have one of these? Favorite. Tool. Ever.) and my handy dandy glue gun. That's all there is too it! 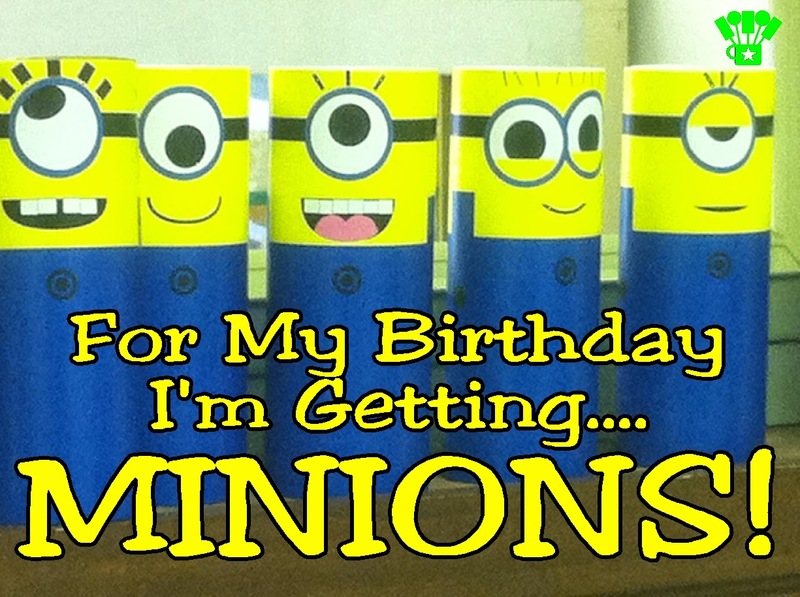 Now I have a dozen sweet printable Minions to help me make my birthday amazing! If you need a Minion or two today, here's a free pair to help you too! You can simply right click on the jpg picture and save it to your computer. 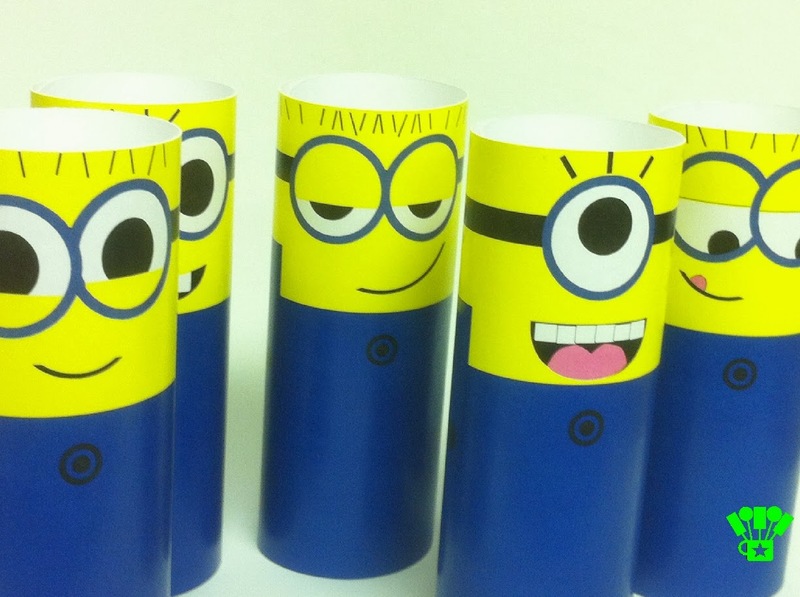 If you would like the whole set, you can find the Printable Minions in our shop. But the Minions are helping you today too! They are giving you 41% off all your digital purchases this weekend in our store! (Yea, I'm 41 today, did you guess?) You can check out any of our Downloadable Products or our Candy Topper Printables and save with no coupon needed! Happy Birthday! My kids and I really like Despicable Me 2 also. Thank goodness they make these movies funny for adults because like you I "get to see it" all.the.time! I'll be pinning this and making these with my kids today--thanks for giving us a fun project to do! Thank you for the birthday wish. I am glad to be able to share my Minions with you and your kids. I hope you enjoy making them. This is so perfect for us right now. I have a giant bag of old toilet paper rolls that were left over from making reindeer etc. at X-mas and my son now wants to make toilet paper roll -everything! Great idea. Thanks. Isn't it funny the things our kids get "stuck" on doing? When we made our Christmas window clings, we had all kinds of clings all over the house for weeks. I'm finding clings of iPods and music notes all over the boys' bathroom. I am glad they are learning to craft and use their artistic sides though. I hope your son enjoys our Minions! Happy Birthday! I must remember this post when my little one is older, love your printables! Happy Birthday!!!!!!! It's my cousins birthday too - which means that you are good peoples!! I got Despicable Me 2 from redbox tonight!